Ok, sorry. I know that bad joke has been used a thousand times, but sometimes you just gotta love something so gloriously ridiculous. 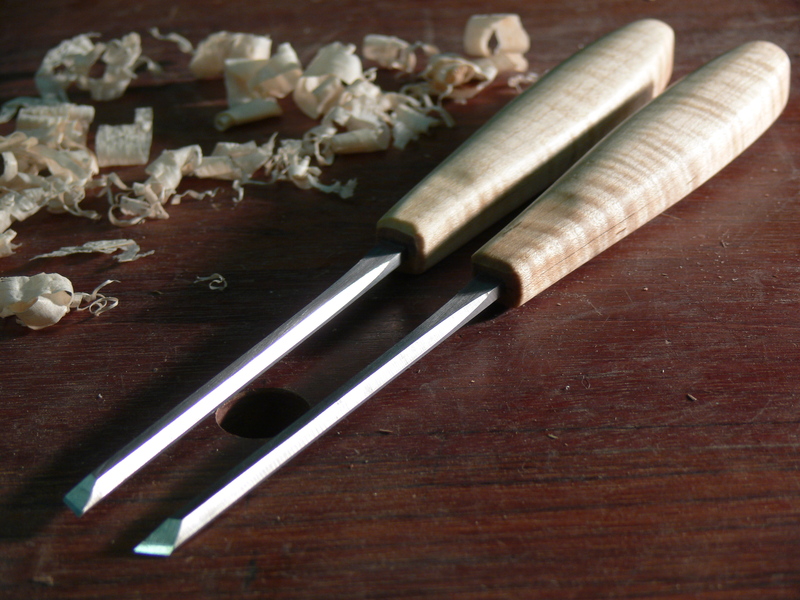 So lately I’ve been increasingly more interested in tool making and these babies are my latest effort. 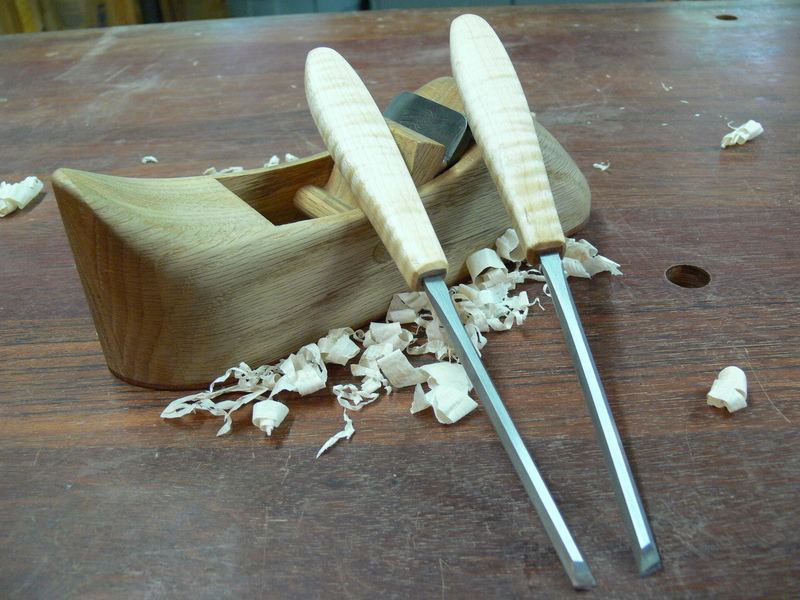 They are a pair of 20 degree skew detail chisels intended for cleaning up dovetails. The blades are O1 tool steal that I ground to shape and heat treated myself. The handles were hand shaped out of some wonderful tiger maple. However, I think a turned handle would also be nice and much faster. This has got me thinking about acquiring a lathe, hah! ← Trestle Table: Progress on the base. A very nice pair, indeed.